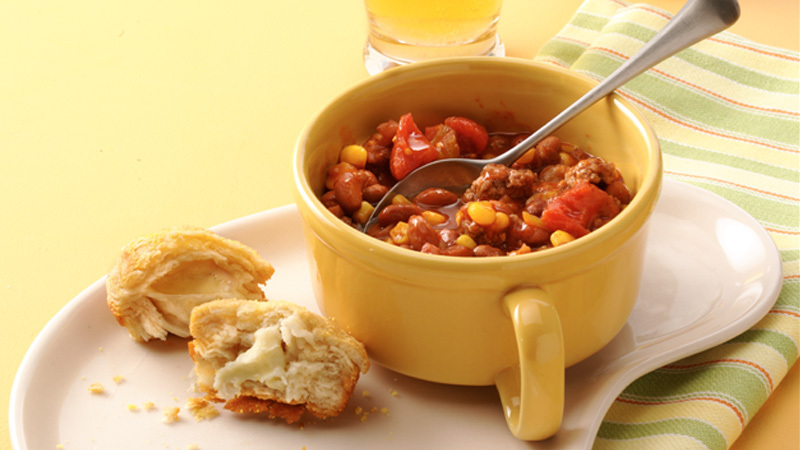 A hearty chilli you can get on the table in 30 minutes. 1. 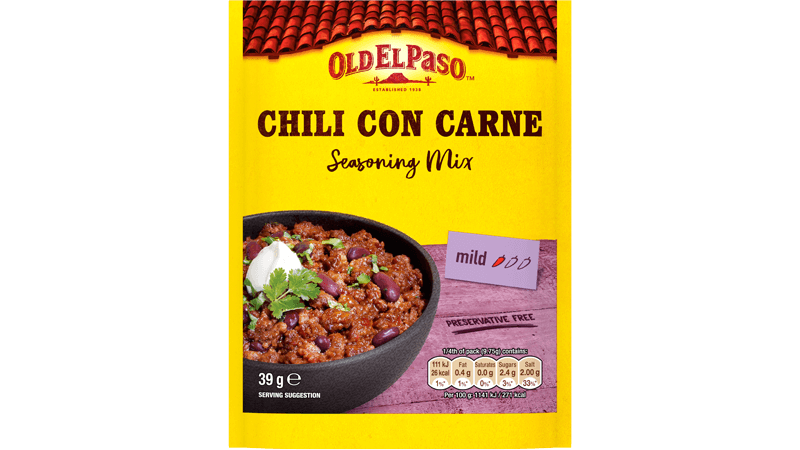 Heat the oil in a large saucepan and cook the mince over medium-high heat for 5-6 minutes, adding in the chilli seasoning for the last minute. 2. Stir in the mixed beans, chopped tomatoes, sweetcorn and chilli, bring to the boil then reduce the heat to medium and cook for 10-15 minutes, stirring occasionally, until fully combined with a thick sauce. For a tasty treat, serve with grated cheese and soured cream.